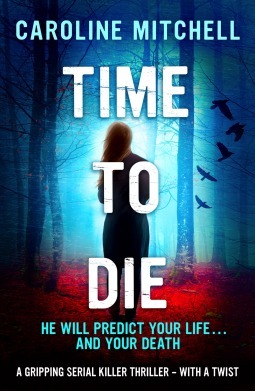 I recently had the opportunity for a Q&A with Caroline Mitchell, author of ‘Paranormal Intruder’, ‘Don’t Turn Around’ and ‘Time To Die’. 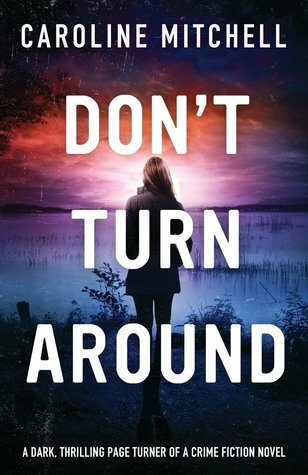 crime novel ‘Don’t Turn Around’ and most recently ‘Time To Die’. Originally from Ireland, she now lives with her husband, four children and two dogs in a pretty village on the coast of Essex. • Why do you write ? What inspired you to start writing? Hi, and thanks for having me. 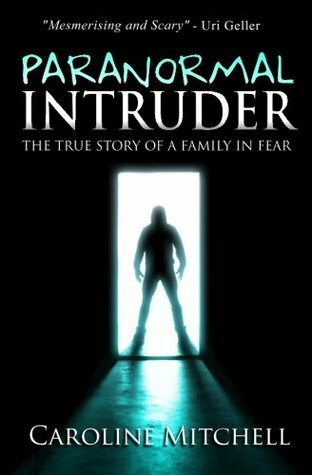 I started writing to spread the word about my true story, Paranormal Intruder. I did not expect to carve a career out of it, but I came to love writing so much that I could not stop. I decided to blend my personal experiences with the paranormal and police to create the DC Jennifer Knight series. Now I can’t imagine not writing. It’s a cross between a passion and a compulsion. Perhaps I should invent a new word, passpulsion! • What does your writing process entail? Do you have certain rituals? Oh yes. First I have the buy-all-the-notebooks ritual, usually Paperchase, and a nice pen. Then I have the scribble-incessant-ramblings ritual which nobody but me understands, and then I have the plotting ritual, followed by the glue-my-fingers-to-Macbook ritual where I spend the next six months putting it all together. Don’t get me started on the self doubt and editing ritual! It’s great fun though, I really enjoy the whole process. • In your latest book, Time to Die, DC Jennifer Knight has OCD and special ‘gifts’? In what ways does she reflect your experiences and or personality? That’s a good question. I’ve found it quite therapeutic to use my own experiences in the police and paranormal to mold DC Knight. I don’t have any special gifts, but I do know how it feels to experience the paranormal and feel very alone. Unfortunately I’m not as good at cleaning as she is though! • The villain in Time to Die has an affinity for Ravens. What significance does Ravens have for you? I love a good eerie setting, and there’s no better bird to create the creepy background I needed for Bert Bishop. Linking Bert with the ravens felt natural, they made a great combination! • Is the town of Haven fictitious or based on a real town? If based on a real town, have you ever been there? I wanted to complete somewhere fictional and Haven was born. Given it’s a supernatural crime thriller, I needed somewhere with a really eerie feel, where I didn’t have to worry about offending anyone. I love the sound of Haven, it’s a place I’d enjoy spending time in! • Do you consider yourself a sort of detective in you role as an author? Given I’m a detective in real life it would be an easy assumption to make. But as an author I’m purely a storyteller. I like to weave original and interesting tales, and my personal experiences are used for guidance to make things more authentic. • I thought the blurb was intriguing. Did you come up with the blurb? How? Yes I wrote the blurb, it took me about ten minutes to write it up. After spending almost nine months writing about Bert, it came quite easily. I love Bookouture as a publisher because they value your input. • What were some of the challenges you encountered in bringing you latest novel to life? I usually get to about sixty thousand words when my characters turn their backs on me and stop talking. It’s happened to me with all three of the DC Knight books and I know that when I reach that point I have to step back and take a few days off. (Wine also helps.) I usually come back to my writing full of ideas, although I’ve no idea why it happens! • Are you currently working on another novel? If so, when can we expect it to be released? Ooh yes, I’m working on the third in the DC Knight series, featuring the story of a missing twin which Jennifer has to communicate with, using her existing twin sister. I’m making headway into a brand new crime thriller series featuring DS Ruby Preston. I’m very excited about introducing Ruby to the world. I don’t have a publication date yet, but I would expect the third DC Knight book to be ready early next year. • What are some of your interests apart from writing? I don’t have a lot of spare time at the moment, but when I’m not working or writing I enjoy spending time with my family, and I’m a real movie fan. • What new releases are you excited about reading and why? I’m a massive Stephen King fan, and I’m still making my way through his backlist. Naturally I love my fellow Bookouture authors and I recommend their books to everyone! • Is there anything you would like to share with your readers? I’d just like to thank everyone who has downloaded, read and reviewed my books. There will be lots more to come from me in 2016, so stay tuned!